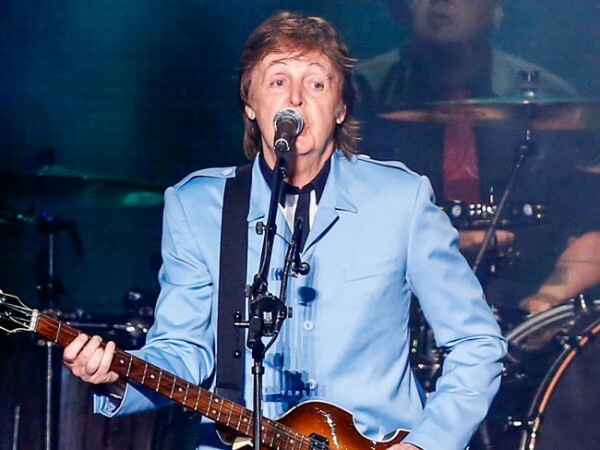 Legendary Beatles musicians Sir Paul McCartney and Ringo Starr will reunite at the Grammy Awards later this month. Sir Paul McCartney and Ringo Starr will reunite at the Grammy Awards. The legendary Beatles bass player and drummer - the only surviving members of the 60s group - will both perform at the 56th annual Grammy Awards ceremony, held on January 26 in Los Angeles. It has not been confirmed whether the duo - who completed The Beatles with John Lennon and George Harrison - will reunite on stage for a dual performance for the first time since 2010, but many fans are expecting they will. Both artists are up for awards, with Paul nominated for the track Cut Me Some Slack - a collaboration with Dave Grohl and Krist Novoselic - in the Best Rock Song category, and his Live Kisses DVD up for Best Music Film. Ringo will be honoured with the 2014 Recording Academy Lifetime Achievement Award. Speaking of their bond in 2011, Ringo said: "We are good friends. We don't live in each other's pockets, but if we're in the same country, we get together ... We're the only two who've experienced all this who are still here." Other performers added to the Grammys line up include a collaboration between Daft Punk, Stevie Wonder, Nile Rodgers and Pharrell Williams and heavy metal band Metallica performing with pianist Lang Lang. Other stars who will perform on the night include Katy Perry, Lorde, Robin Thicke, Chicago, Kendrick Lamar and Imagine Dragons. The Grammy Awards 2014 will be broadcast live from on the CBS network in the US from the Staples Center in Los Angeles.